Thousands of San Francisco fourth graders are enjoying a new twist on science and math lessons while learning basic principles of sailing as part of Set Sail Learn, an engaging classroom experience on San Francisco Bay made possible by a significant grant from the St. Francis Sailing Foundation (StFSF). This grant, the largest in the history of the StFSF, marks a major expansion of the Foundation’s community outreach programs. The Foundation’s other major activities focus on development and support of competitive athletes, from Olympic hopefuls to youth sailors. Set Sail Learn was launched on October 15, 2015 at a media event at Treasure Island Sailing Center. The event garnered coverage from Bay area broadcast and print media, as well as the sailing media. A number of key San Francisco city officials attended, including the St Francis Yacht Club’s landlord, Recreation and Parks department. Children from 28 public schools in San Francisco are learning Science, Technology, Engineering and Math (STEM) both on the water through sailing as well as in a hands-on classroom at the Treasure Island Sailing Center (TISC). For some of the children, this engaging environment is their first encounter with the city’s greatest natural resource, San Francisco Bay. “Set Sail Learn engages the different learning modalities of the kids, visual, kinetic, song, dance and sailing,” said fourth grade teacher Joi Jackson. “I saw this program touch every part of each of my children. Thank you so much for allowing my native San Franciscans to really experience the Bay,” says the teacher from Leonard R. Flynn Elementary School of the San Francisco Unified School District. Set Sail Learn runs Monday-Thursday from 9am-1:00pm at the Treasure Island Sailing Center. Twenty-four classes are participating in the first half of the school year. A typical day consists of classroom learning on topics such as Ecology of the Bay, Power of the Wind or Maritime Math & History followed by an on-the-water sailing session in RS Venture boats. The city helped identify seed funding for a pilot program in Fall, 2013. Thanks to a significant grant from the St. Francis Sailing Foundation, TISC in partnership with San Francisco Public Schools is offering Set Sail Learn as fourth grade curriculum. 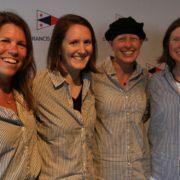 The St. Francis Sailing Foundation (StFSF) is a 501(c)(3) charitable organization with the mission to raise and grant money to deserving sailors and organizations that promote sailing, racing competition and maritime education. 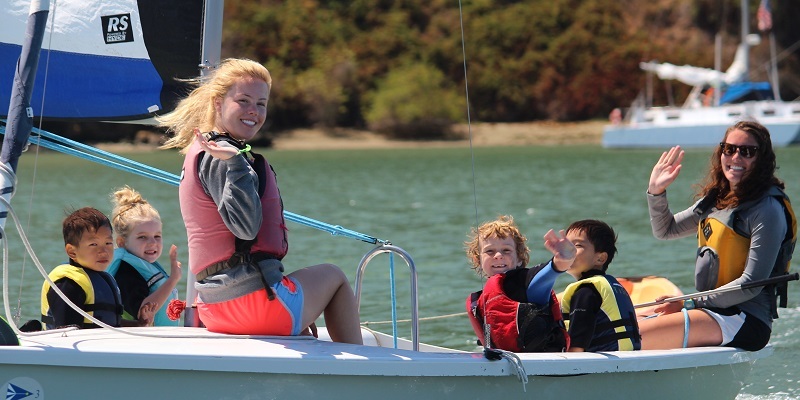 StFSF supports organizations that put thousands of underserved youth and disabled sailors on the water in enrichment programs that teach sailing, life lessons, and science utilizing sailing. Set Sail Learn is the largest program ever sponsored by StFSF. 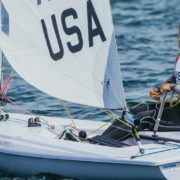 StFSF also promotes competitive sailing and US Olympic Sailing Team development, with support of serious Olympic athletes, beginning Olympic hopefuls, and junior sailors.